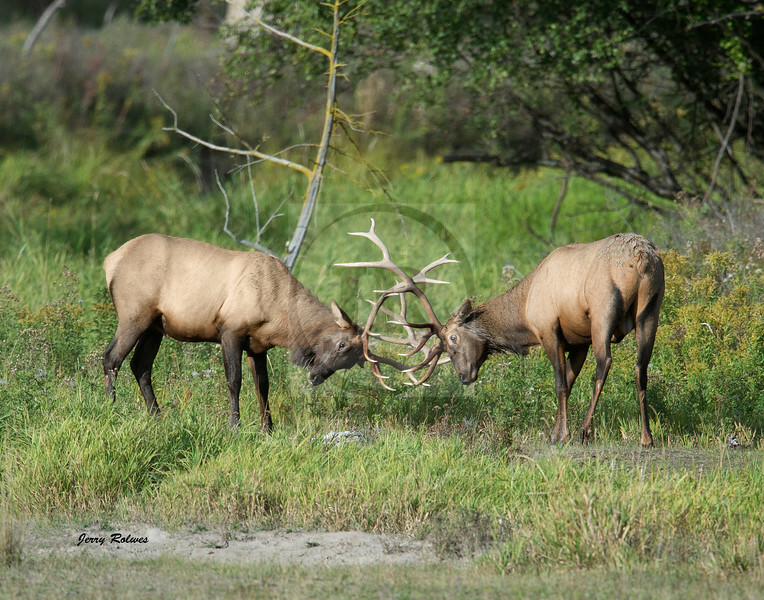 I encountered these two mature male elk in their rut battle for herd dominance. I looked for over eight years to encounter such a rut. They scared off deer intermingled with the elk when the joust commenced. This photographer was in a remote local in one of our Montana parks when the image was captured.